2012 saw the advent of a new pillar of online gaming: Games-as-a-Service. Starting with MMOs, that business model spread across a variety of genres and multiplayer formats. One title that became a stalwart success using this model is World of Tanks. 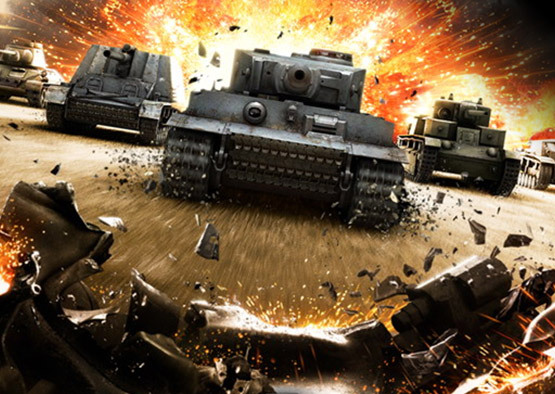 Launched in 2010 by Wargaming, it’s a franchise known for its giant maps, bulldozing tanks, and a long history of providing content to its player base. One major challenge with an ongoing service is the age of content. With constant developments and improvements throughout the service, older content can lose some of its sheen over the years. In 2017, Certain Affinity partnered with Wargaming to support their World of Tanks 1.0 update release. Our tasks for this major release included providing support on remastering, rebuilding several key maps with their updated proprietary engine, overhauling their UI and tank customization options and building out new seasonal game mode events for their audience to enjoy. As part of one of our pillars of work, Certain Affinity developed new content for World of Tanks in the form of game modes and seasonal events. Games-as-a-Service require a constant stream of new content to engage players and CA was uniquely qualified to provide new ways for the World of Tanks Audience to play. 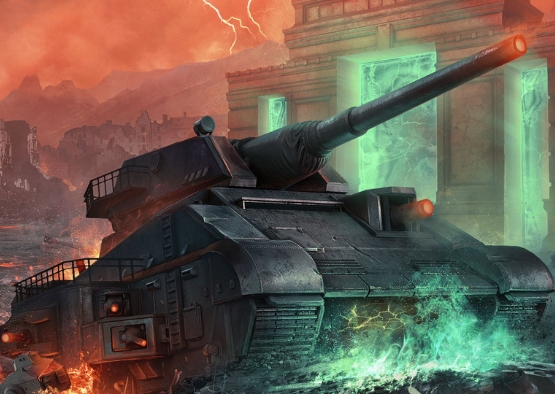 Throughout our engagement, Certain Affinity maintained an Events Design team to generate new game modes for WoT’s Halloween 2017/2018 event and the 2018 World Cup events. These game modes featured full concept to feature-complete ideation within World of Tanks’ proprietary engine, bringing new experiences (both PVP and PVE) to the audience. 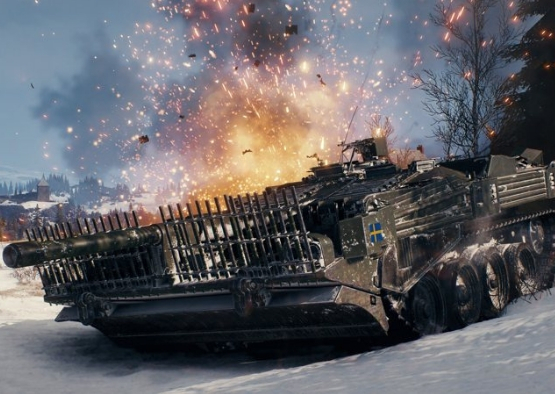 As part of these game modes, the design teams built out unique tank assets, event specific maps, and new mechanics to support the game modes. These developments allowed us to build new features within the proprietary tool set and engine that World of Tanks develops on. As a result of our efforts the 2017 Halloween event would be third most successful event since their release. The Certain Affinity team worked hand in hand with Wargaming’s live development team to match key production deliverables, supply purchasable content, and meet strict live service guidelines — thereby assuring that the events would be fun, beneficial to Wargaming’s business model, and meet major live service goals for the organization. In order to accomplish this, Certain Affinity needed to deliver HD remasters of some classic maps. This required multi-disciplined environment teams: designers, environment artists, lighting artists, vfx, and engineering support, all working together to revamp these maps for their 2018 update. One of the major challenges when working on Games-as-a-Service is managing development on a live service. In addition to learning the ins and outs of Wargaming’s proprietary engine, our teams had to coordinate with Wargaming’s live development team, network operations, and future content team to ensure that no pipelines were impacted while developing for the title. Proper coordination across international time zones was also required to ensure development was not hampered and feedback could be properly shared and managed. Multiple teams coordinated their efforts to deliver 9 maps by their 2018 launch. One key point with any ongoing game is to maintain a level of polish and take lessons from your player’s experiences. As part of our improvement initiatives touching on game modes and maps, Certain Affinity provided UI design support to overhaul the client facing UI front end including the tank customization options. As the game is live, it was important for the UI team to create a fresh experience that still retains the easy and reliable usability that the World of Tanks audience expects. UI should supplement the experience and help new players engage with the game, as such testing and consistent reviews were critical to improve the UI. This provided us the support needed to meet both audience and client expectations. Mitigating the risks of working on a live service game required some adjustments from Certain Affinity’s production pipelines. Daily playtests, revamped bug tracking, key guidelines in data management and updated communication policies with our partners were all key in providing an on-time and successful deliverable. We’re excited to see the launch of the 1.0 update for World of Tanks and appreciate the opportunity to contribute to the project!